The Christian model of leadership demonstrated in the life of Jesus and consistently taught throughout the New Testament is that of servant leadership. 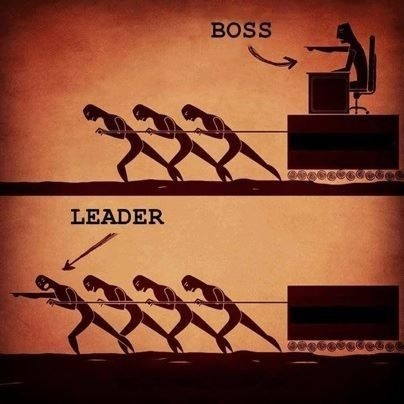 Servant leadership looks very different compared to many other leadership models in our society. Servant leadership stands in contrast to much of what we see in the news, in big business, what we hear at leadership conferences, and even among top-tier church leaders. It’s more than a concept or a strategy. It’s a philosophical and practical foundation with which to see the world around you and particularly those you lead. Jesus challenged his followers to look around them and take stock of what true leadership is not. These Gentile rulers “lorded” or dominated over the people. They exercised their authority with a sharp sword and iron fist. They controlled the populace through fear, coercion, threats, and torture. These monsters, who invented crucifixion as a form of punishment and the gladiatorial games as entertainment, controlled the masses like ruthless barbarians. Within these societal leadership structure, Jesus speaks out, cutting through the haze when he says, “It shall not be so with you” (Matt. 20:26). For his followers, all present and future disciples of Jesus, there would be another way. There would be another leadership style at play. There would be servant leadership where “whoever would be great among you must be your servant, and whoever would be first among you must be your slave” (Matt. 20:26-27). But what does that look like? How does one lead like Jesus? What makes servant leadership, particularly for Christian people, so different from all other leadership models in our society? 1. Servant leaders seek the benefit of others before themselves. – The core conviction of the servant leader is the desire to place others above themselves no matter the outcome. They seek the good of those they lead and those they follow. A heart of service towards others permeates every action and deed. 2. Servant leaders view people not as products or cogs in a machine, but as valued persons made in the image of God. – Servant leaders view each and every person, believer and unbeliever, man, woman, and child, as a valued creation of God himself. Each bearing the image of God, equipped with gifts and talents uniquely bestowed by the Father, meant to be used for His greater glory. People are not products; they are not little machine in your leadership assembly line. They are image-bearers, and therefore, should be respected as such. 3. Servant leaders recognize God is in control of all things and we are but stewards of the leadership opportunities He has given to us. – Servant leaders know that “leadership is stewardship.” (Stanley, 2009) Stewardship means caring for some else’s property. It is a share-cropper term. One owes the field; the steward cares for the field under the authority of the owner. When the servant leader confuses stewardship for ownership, they are on very thin ice. We must understand God is fully responsible for any and every leadership opportunity we receive. He is the owner; we are the steward.